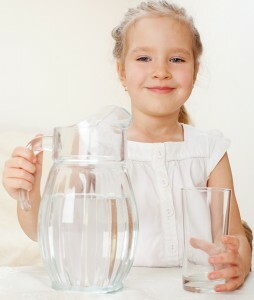 If you’re tired of purchasing bottled water en masse, a water purifier can make your life significantly more convenient. No longer will you have to worry about rationing your water supply to ensure that you have enough, or making annoying runs to the grocery store at inconvenient times – you’ll be able to enjoy an unlimited supply of fresh, delicious water right from your kitchen tap. A point-of-use water purifier (one that installs under your sink and purifies water at that location) can provide these benefits thanks to a wide array of specialized filters. The most advanced products on the market often use multi-stage purification processes, and can sometimes even purify water down to the molecular level. They accomplish this through the use of sophisticated technologies such as semi-permeable membranes and advanced carbon block filters, which enable them to remove cloudy sediments, iron that may give your water a metallic taste, or hydrogen sulfide and other sulfuric compounds that might ruin your water’s taste or smell. At RainSoft, our highly sophisticated Hydrefiner II and Ultrefiner II water purifier systems can do all of this and more. Our products are also Tested and Certified to work exactly as advertised by reputable organizations such as NSF International and the Water Quality Association, and come backed by the industry’s best Limited Lifetime Warranty. To learn more about how a RainSoft home water purifier can help to improve the quality of your drinking water, contact your local authorized RainSoft dealer today.